Just call it woman's intuition. Who is this? 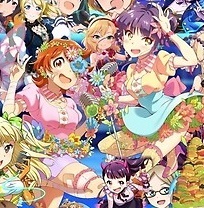 The purple haired one, looks like she's from the same pic as the orange haired one. Thanks!